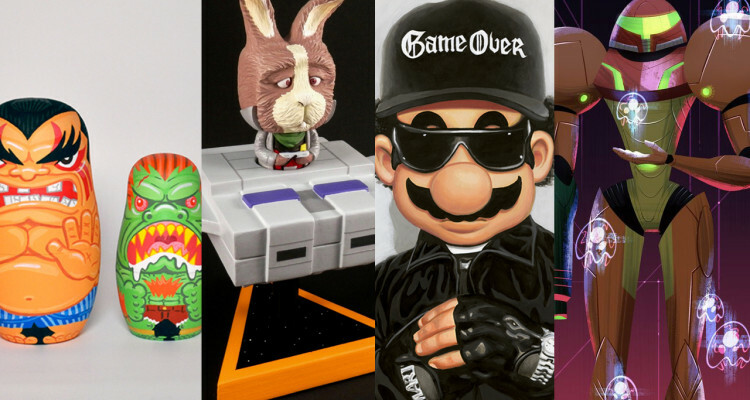 Gallery 1988 closes out 2015 with a bang when their Console Wars exhibit opens Friday, December 11. Paintings, prints, and sculptures from the show will first be made available for purchase at the opening reception, but leftovers will be made available at gallery1988.com the following afternoon. 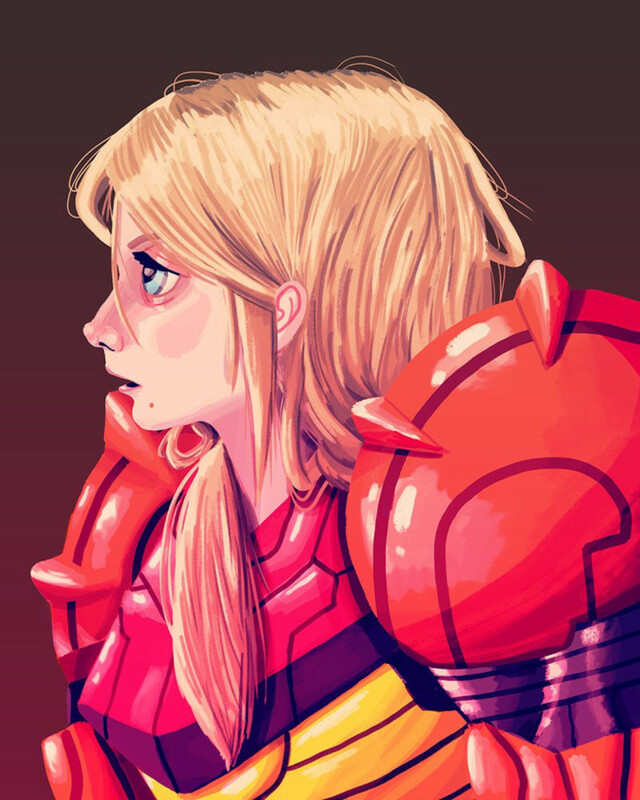 Check out a sample of works from the show below and be sure to check out the artist links for more freshness. 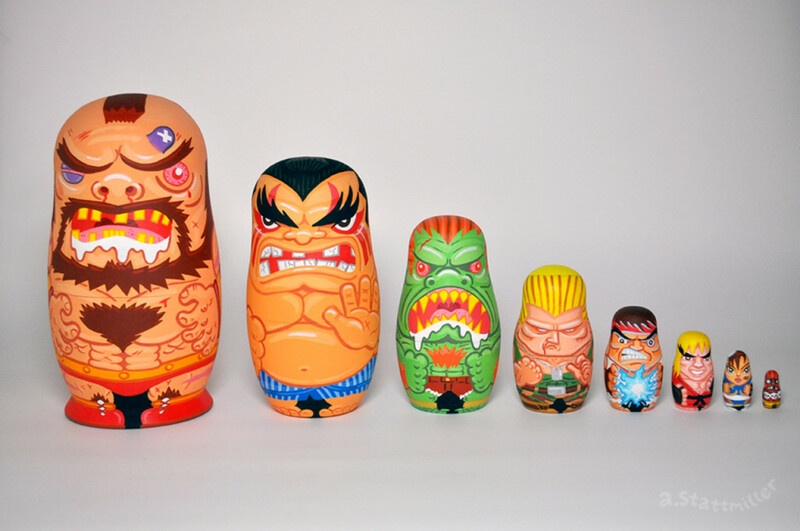 Street Fighter II nesting dolls by Andy Stattmiller. 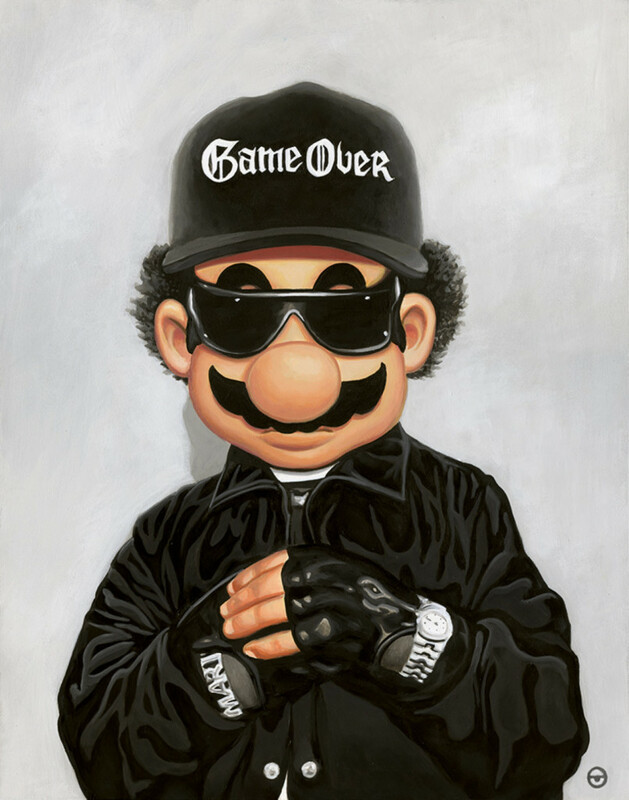 Super Mario X Eazy-E mashup by Munk One. 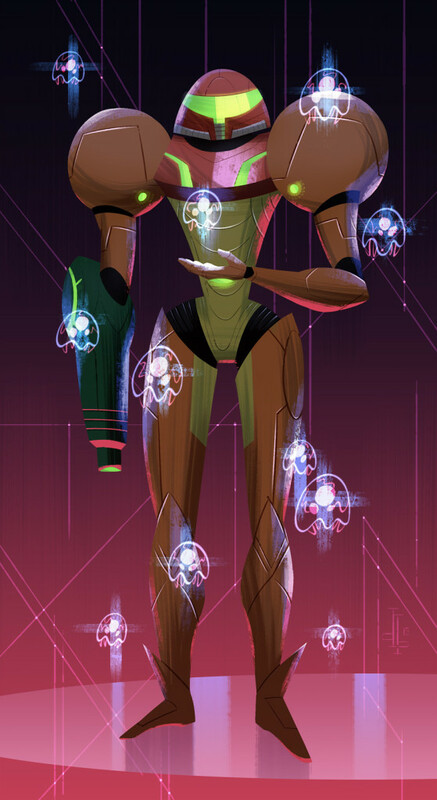 “Mother Metroid” by Drake Brodahl. 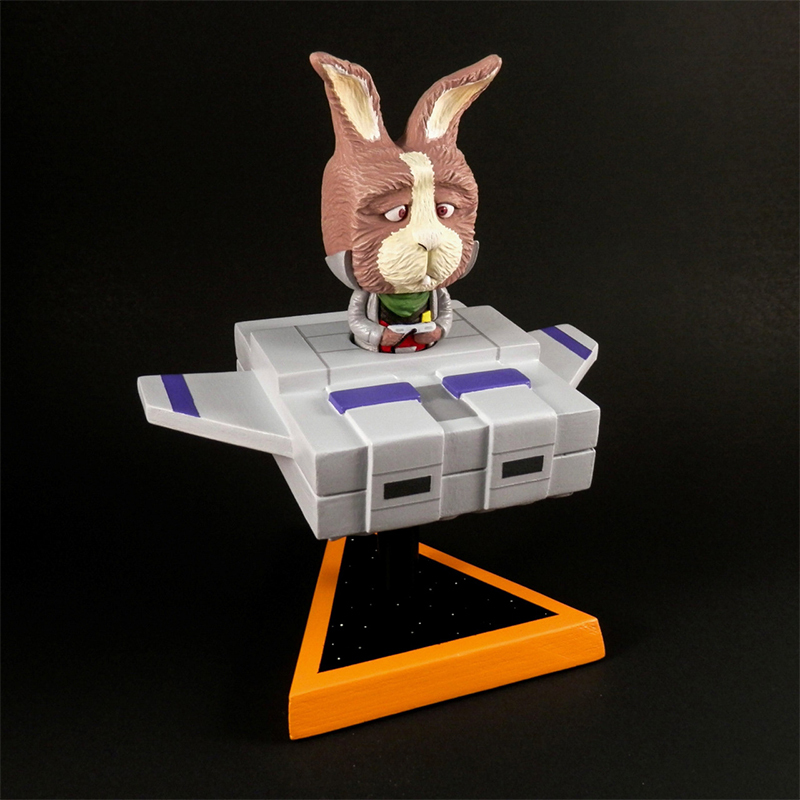 Peppy Hare sculpture by Brad Hill. 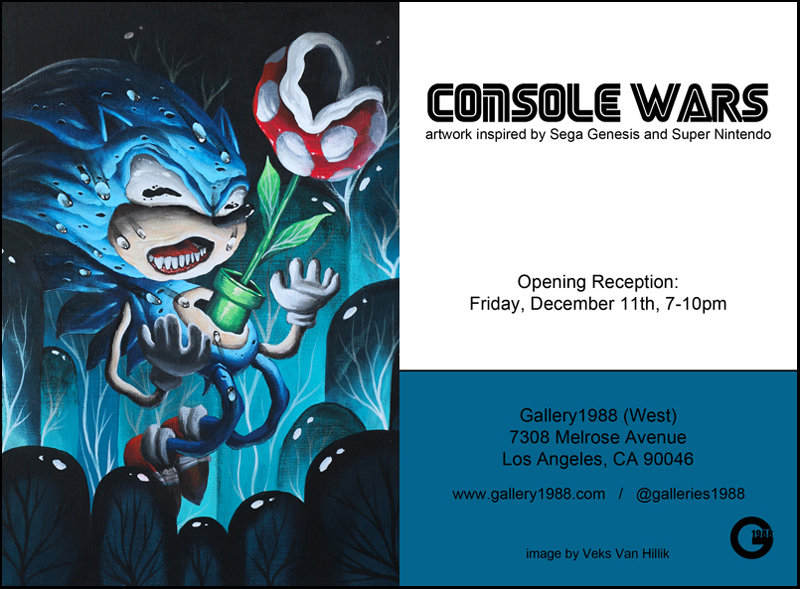 And the show flyer features an epic Sonic the Hedgehog piece by Veks Van Hillik.